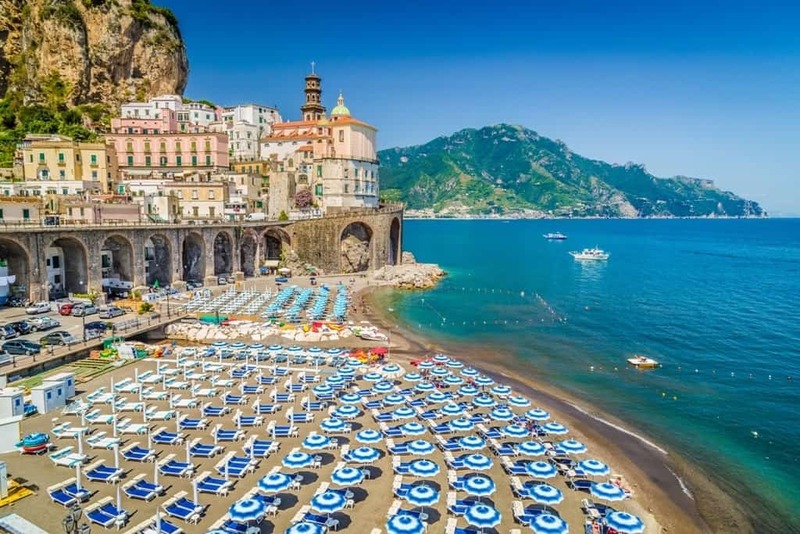 The Amalfi Coast is just a relatively short stretch of coastline in Central Italy but its quality has found UNESCO recognition. The road that hugs the coast between Sorrento and Salerno is an attraction in itself. You will enjoy seeing its cliffs, small beaches, fishing villages as well as several grand villas. Settlements are perched on those cliffs with stunning views across the sea. 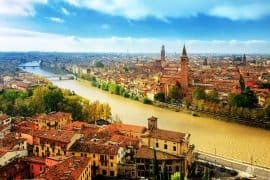 The lovely climate added to the wonderful landscape has meant that this region’s popularity with the Ancient Romans has been translated into today’s tourist crowds. 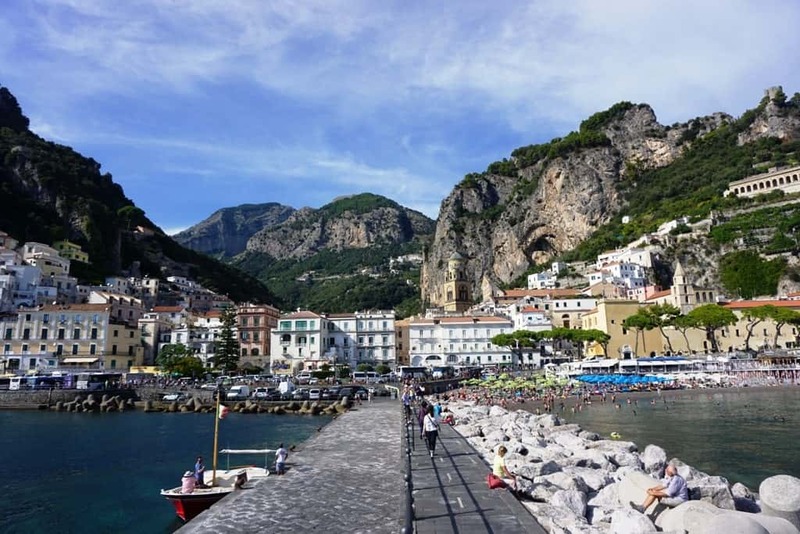 Here are some of the best villages and towns and villages on the lovely Amalfi Coast. 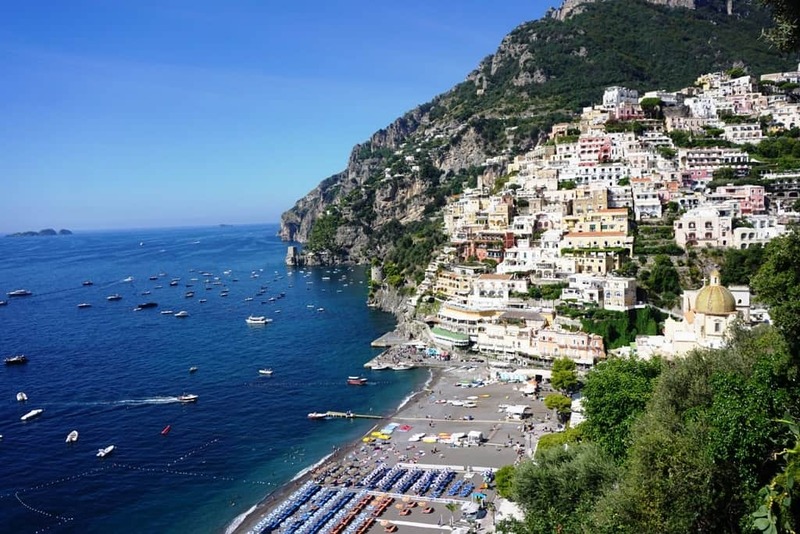 You might be interested in: Where to stay in the Amalfi Coast and my Amalfi Coast itinerary. 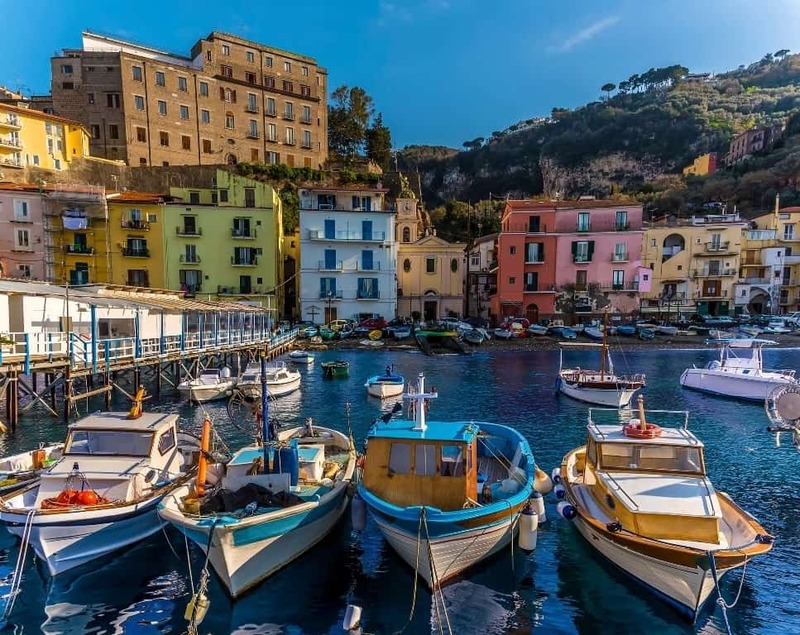 Sorrento sits on the Bay of Naples on the Sorrentine Peninsula with views of the Isle of Capri. Its position on top of cliffs above the modern marina is wonderful with the Piazza Tasso and its cafes a great place to relax on a hot day. 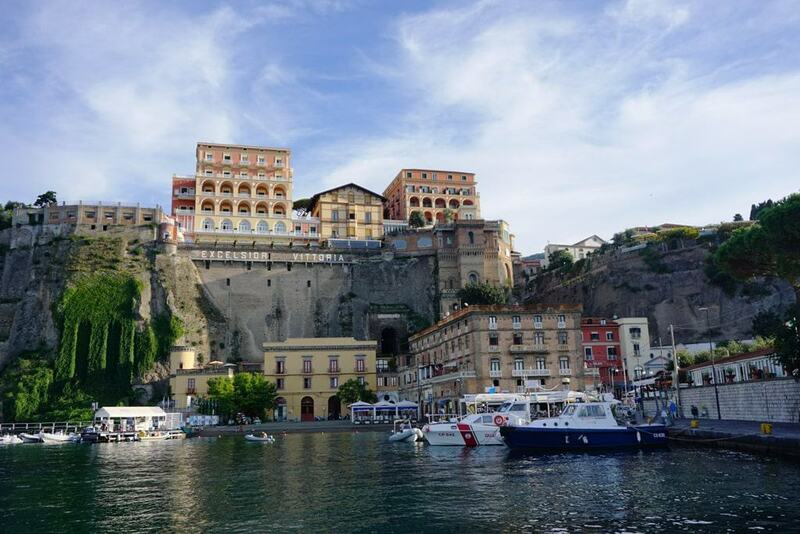 The heart of Sorrento exudes history with its narrow streets. Chiesa di San Francesco, the 14th Century Church is a place everyone should visit while in Sorrento. 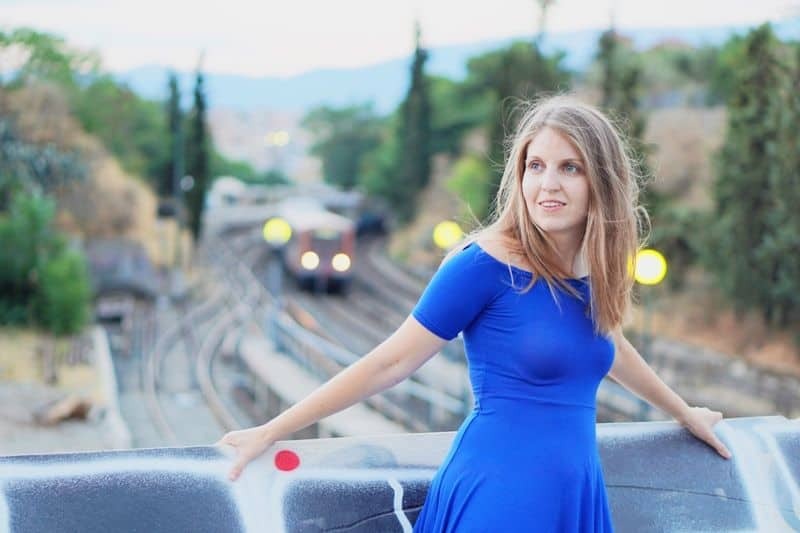 There is a cloister and convent nearby, both dedicated to Saint Francis and during the weeks of summer, there are occasionally evening classical concerts to enjoy. 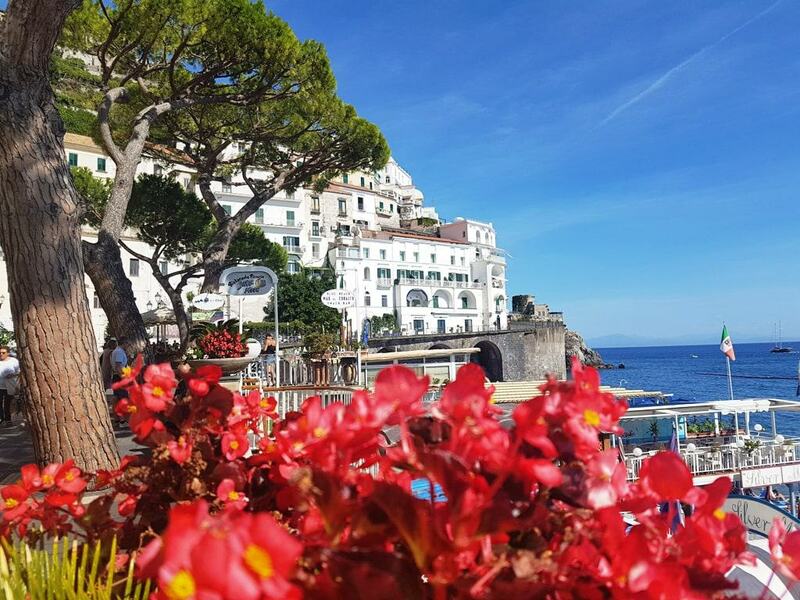 Sorrento officially isn’t part of the Amalfi Coast but it is considered a great getaway to the beautiful villages of the Amalfi coast. The Grand offers 5-star luxury with all the features that guests would expect of a hotel of that standard including a private beach. 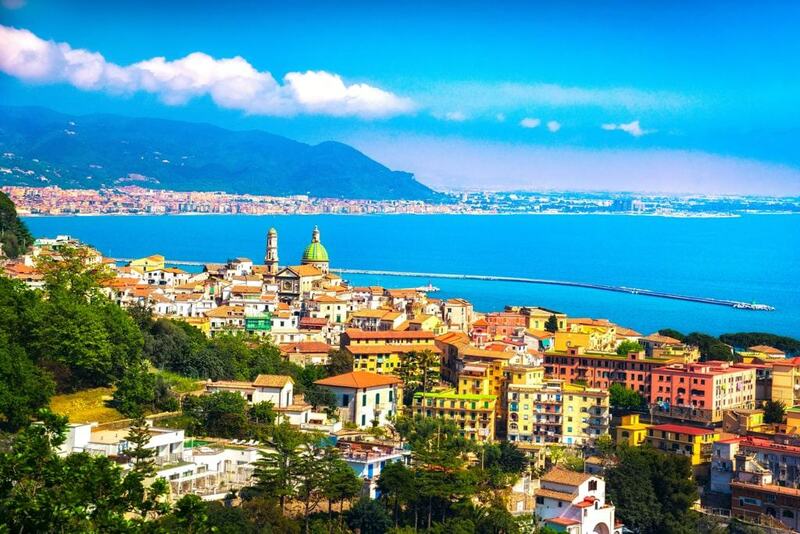 It provides stunning views over the Bay of Naples as well as Mount Vesuvius. With sea views from every room in the hotel, Belair looking out on to the Bay of Naples is a genuine experience. Spa, restaurant, bar and pool, everything is there for the comfort of its guests. 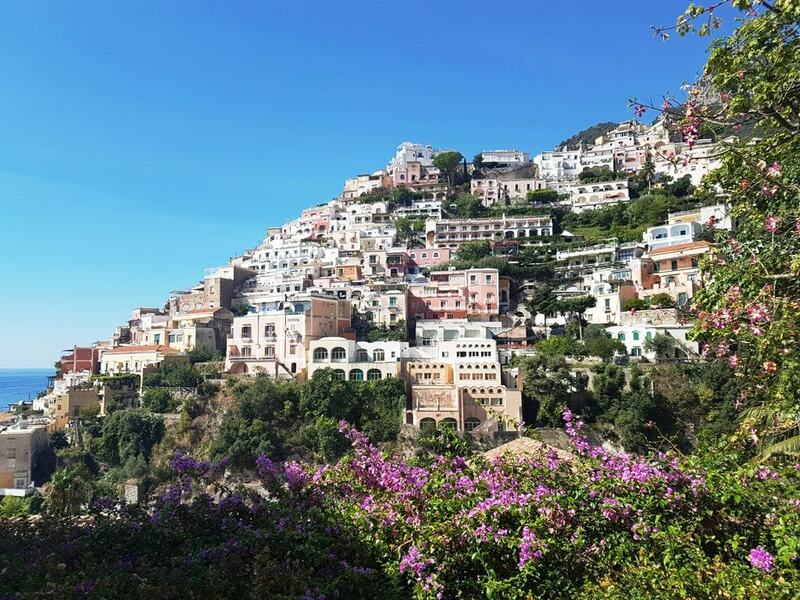 Positano is an old fishing village sitting on the cliffs with a pebble beach below. It is a tourist hot-spot with its narrow streets, cafes and boutiques. The harbour is an especially nice spot and several boast excursions leave from there to places like Capri. The Chiesa di Santa Maria Assunta was built in the 1920s and has a beautiful majolica-tiled dome as well as a 13th Century Byzantine image of the Virgin Mary. 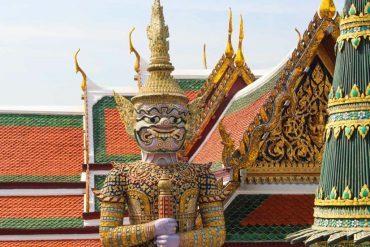 The best time to visit is arguably in the spring when the temperatures are pleasant and the crowds have yet to arrive. A 4-Star hotel, Eden Roc on four levels with a lovely terrace and pool, you will feel at home as soon as you walk through its doors. Everything looks out to sea and you can just relax, take in the views and enjoy the service. This Hotel was once an ancient villa owned by the Rispoli family. It now provides luxury accommodation for its guests in the heart of the old center. The restaurant offers the best that Italian cuisine can offer. 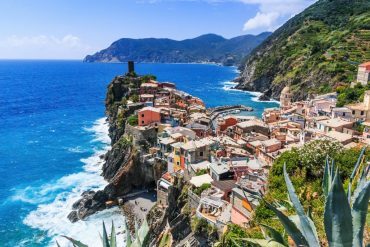 A fishing village that became popular as long ago as the 1st Century with Ancient Romans, Praiano has plenty to offer the visitor. The Doges (Dukes) of Amalfi enjoyed Praiano in medieval times as well. The village is not as busy as some of its neighbours and therein lies a further attraction. The setting is white-washed houses with terraced gardens on the slopes. Visitors will still experience the atmosphere of a village even though there are plenty of restaurants, bars and boutique shops. St. Luke’s Cathedral and the Church and Convent of Santa Maria are both worth a visit. This lovely 3-Star accommodation has 23 rooms, a lovely sea view terrace and private access down to the sea. The building dates back to the 19th Century and its elegance and comfort has made it very popular. If you are looking for intimate accommodation, Albadamare has just 5 rooms, an outdoor garden for breakfast and a great atmosphere. It overlooks the town square close to the Church of San Luca. Ravello is a resort on high, known for its beautiful gardens. 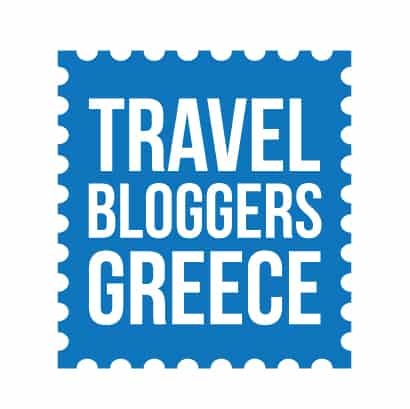 The Ancient Greeks first came here 2,600 years ago. 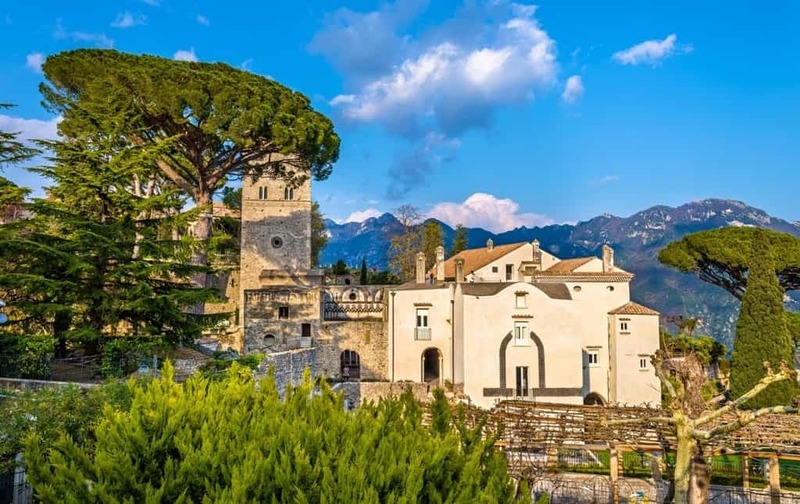 Villa Rufolo, built in Moorish-style back in the 13th Century is certainly an attraction in Ravello. Stand in the lovely gardens and take in the stunning views. There are concerts held in the Villa during the Festival held in the summer each year. 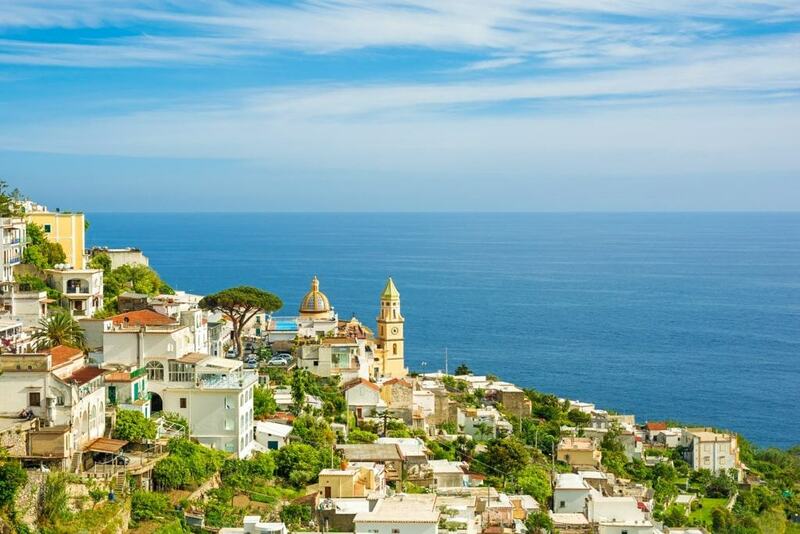 Ravello has been nicknamed the City of Music because of the regular concerts. Another villa with lovely gardens is Cimbrone which sits on a rocky outcrop and while there you should visit the Cathedral, The Duomo. This hotel’s elevated position allows guests to look down on the heart of Ravello which is two minutes’ away and across to the Sea. The family-run hotel has 42 rooms and two restaurants to pick from. Formerly an old villa, this hotel has been in the Palumbo family since the 1930s. Looking over lemon groves and the sea, the restaurant’s chef actually conducts cookery classes for guests who want them. 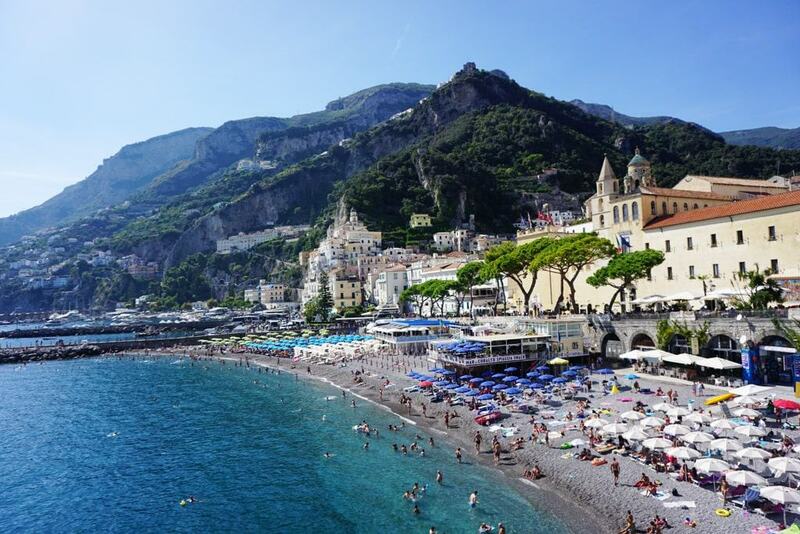 The town after which this stretch of coastline has been named, Amalfi, is situated below steep cliffs. 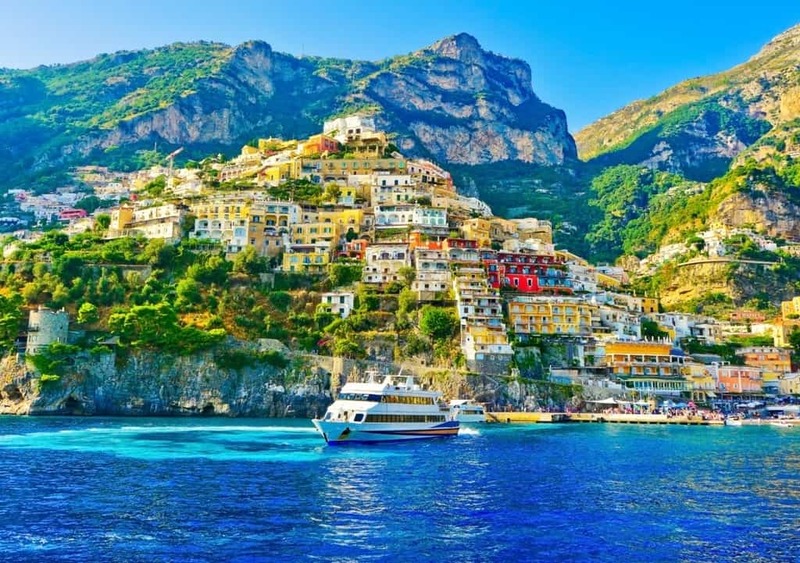 A powerful maritime republic was centred in Amalfi from the 9th Century until the 11th Century. 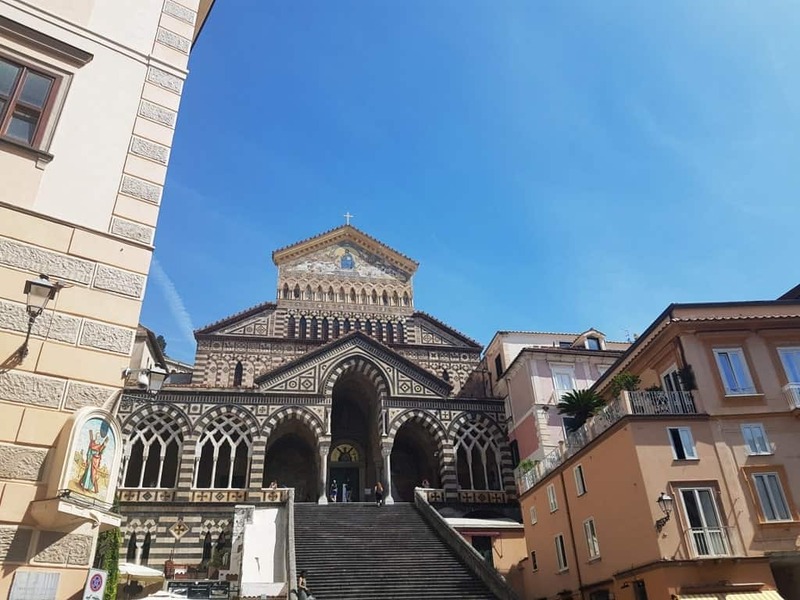 The Arab-Norman Sant’Andrea Cathedral in the centre of Amalfi is its main attraction. The striped Byzantine façade remains in decent condition even to this day. 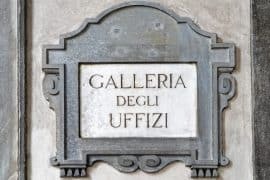 The Museo Arsenale Amalfi was once a medieval shipyard and has now become an interesting museum. “For an Amalfitan the day he goes to heaven is just like any other day”. The original convert that is now a lovely hotel was built in 1222 by San Francesco D’ Assisi. Its church is still used for ceremonies including weddings to this day. A beautiful choice, the cuisine is excellent. This 49-room hotel has 4 Stars and wonderful sea views from the hotel, its rooms, pool, and restaurant. A family-run establishment, it is located on land that juts out into the sea and has a private beach. ‘’Tourists’’ have been coming to Maiori since Ancient Roman times. Indeed, some claim the Ancient Greeks and Etruscans came here as well.The reason they chose it may well have been because this is where you will find the longest stretch of beach on this coastline. 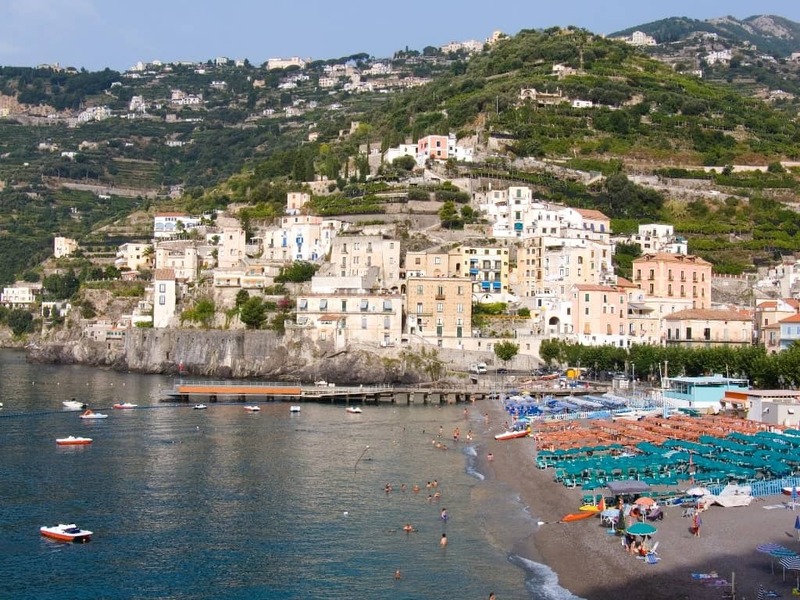 Maiori is larger than some of the other villages on the Amalfi Coast, and probably has town status. As a result, it is a livelier place at night than its neighbours with plenty of good restaurants as well. The Church of Santa Maria a Mare, originally built in the 12th Century, and subsequently restored and the Sanctuary of Santa Maria delle Grazie originally founded in 596 are both worth a visit. A 5-Star boutique hotel with a private beach just a short walk away, Botanico San Lazzaro has a fitness and wellness center including Turkish Bath and Sauna, a relaxing garden and excellent local cuisine in its restaurant. Renovated a decade ago, Reginna Palace Hotel has 4 Stars offering Superior Rooms with whirlpool, Sat LCD TV and internet. There is a pool and the beach is just a very short distance away. 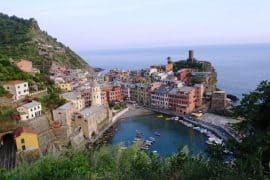 Minori’s position in the midst of a broad cove has helped to make it a popular coastal town without it becoming too crowded. Originally only a fishing village, it retains a casual atmosphere with its wooden fishing boats and umbrellas providing shade, side by side. Ancient Romans frequented the village and the local museum exhibits items uncovered from a 1st Century villa. It was part of the Amalfi Maritime Republic before it was defeat by Pisa. Its more recent history was as an Allied landing point during World War II. Today, its lemons are used to make the famous liqueur, Limoncello. The Annual Food Festival is testimony to its history of pasta and pastry-making. The hotel is close to both the heart of Minori and the beach. Family-run, it provides friendly comfortable accommodation for all, singles, couples and families. Try the fresh seafood with a bottle of wine. A great place to relax after a busy day, this Hotel is close to a sandy beach as well as ruins of a Roman Villa which further reinforces the idea that the location is superb. With a lovely wellness center and restaurant, an excellent choice! 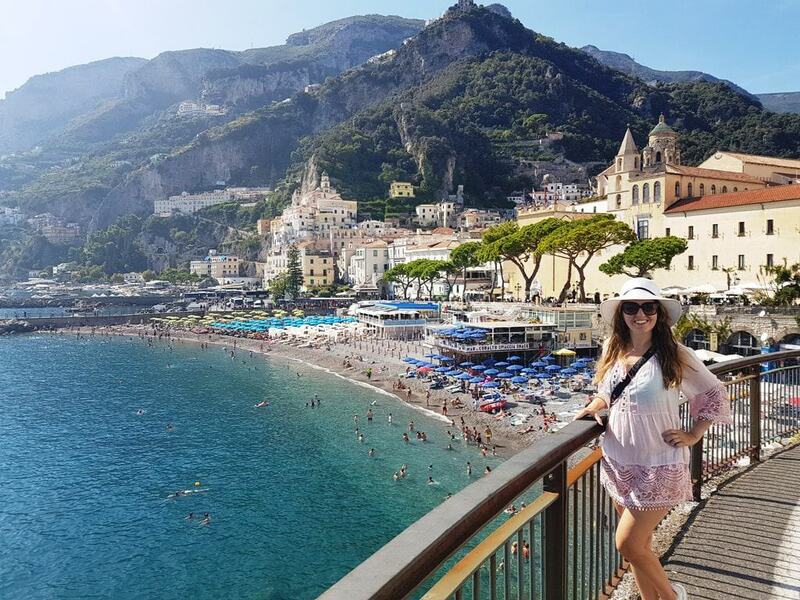 Atrani actually benefits from its proximity to Amalfi because more tourists head there. 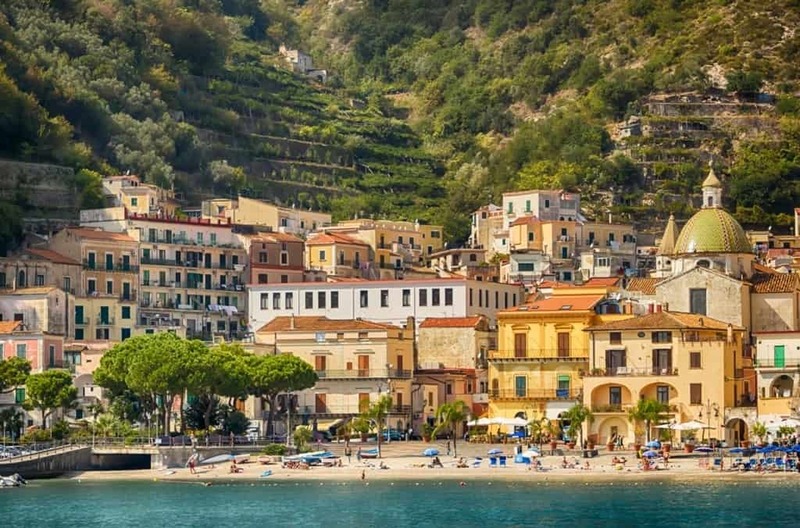 Visitors wanting to experience a traditional fishing village will love Atrani. 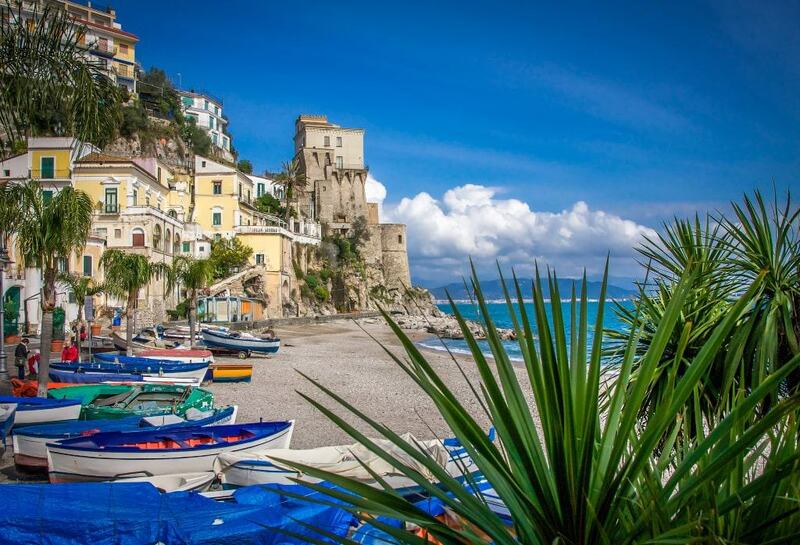 The local population of around 1,000 live below steep cliffs that help make Atrani a beautiful photogenic setting. Among its attractions are 13th Century Baroque Churches and beautiful piazzas, inevitably with a central fountain. The Piazza Umberto is a popular place to sit in an outdoor café and if you feel you’ve seen it before, you might well have done because the village is a regular film location. Formerly a 17th Century pasta factory, this family-run hotel overlooks a small square, has comfortable en-suite rooms and balconies with lovely landscape views. The beach is just a few minutes’ away. A fishermen’s village surrounded by citrus groves, Cetara translates into ‘’tuna fishing nets.’’ It fell to the Turks in the middle of the 16th Century who took many of the locals away with them, and killed many more. Survivors who did not flee to Naples built a stunning watchtower which is now on private property. The architecture, the lovely Church of St. Peter and the secluded beach are just three of the reasons to visit Cetara. The catch is tuna and anchovies and you should sample them fresh and put the salted anchovy juice on your main course of spaghetti. The Hotel’s location could hardly be more striking, looking down over the bay and just a short walk out of the heart of Cetara. Elegantly decorated, it makes use of the famous Vietri ceramics. This friendly B&B accommodation offers real value for money. The rooftop terrace is a highlight and the beach is just a short distance away. There are plenty of bars and restaurants close by. It’s the colours that first hit you in Vietri Sul Mare; the blues of the sea and skies but also reds, oranges and the inevitable greens. This fishing village is also famous for its pottery “Ceramica Vietrese”, which dates back to the 15th Century. 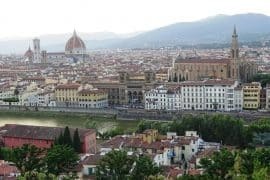 Trading contacts with Sicily and Tuscany all those years ago benefitted the local economy and the pottery was soon seen elsewhere on the Continent and is now exported worldwide. The Museum of Ceramics is in the Tower of Villa Guariglia overlooking the sea and the village. The Church of St Giovanni Battista, late-Renaissance, is a place you should visit while you are there. Set on the cliffs, guests can look across the Gulf of Salerno from the balconies of their air-conditioned rooms. The private beach, just two minutes’ away, has a bar and the restaurant serves lovely local cuisine. This hotel’s panoramic setting above its own private beach makes it an excellent choice for visitors to Vietri Sul Mare. A glass lift takes guests down to the beach and during the summertime, there is entertainment on the beach. 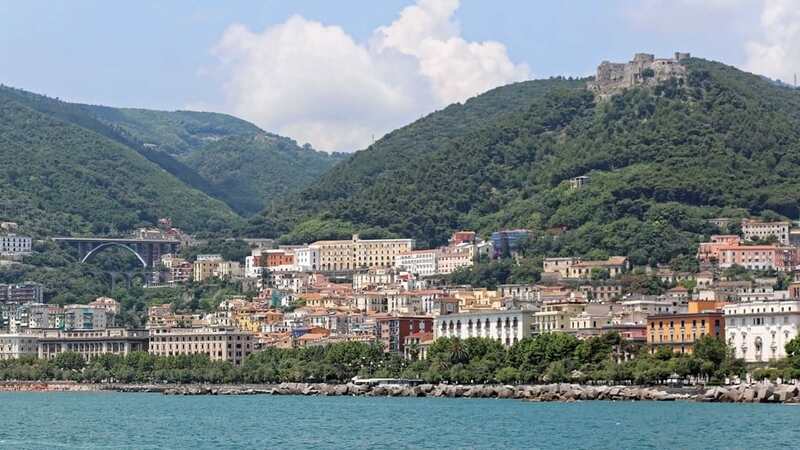 Salerno represents the southern end of the Amalfi Coast, and bears the name of the Province. 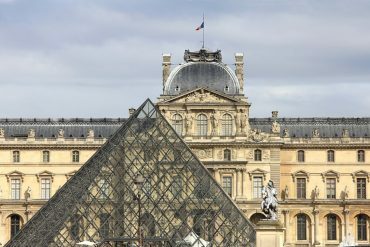 There is much history to see in this port city. Start with the Cathedral with its impressive Byzantine doors, built on the ruins of a Roman temple. From there, the Arechi Castle with its lovely sea views awaits as the as the Museo Medievale del Castello with exhibits of medieval ceramics and coins. 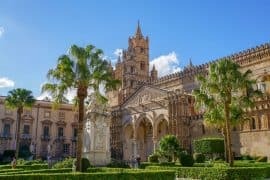 Minerva’s Garden began to grow medicinal plants in the 14th Century.Salerno was home to the “Schola Medica Salernitana” from the 9thCentury and has contributed to Europe’s medical knowledge over centuries. This family-run hotel is in the heart of Salerno and its pedestrian area. It is well placed for the Station and 10 minutes from the beach. 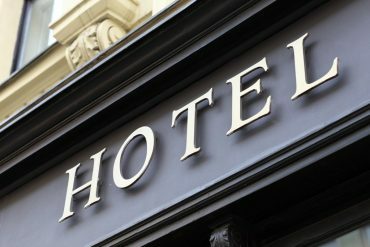 Air-conditioned, the hotel provides free Wi-Fi and LCD TV in en-suite bedrooms. Close to the beach, this large hotel with wellness center including a heated saltwater pool and sauna has en-suite guest rooms with satellite TV and air conditioning. Its restaurant serves excellent local cuisine.